January 11, 2016|Posted in: Crafter's Corner, Happy, Healthy, Smart Kids! 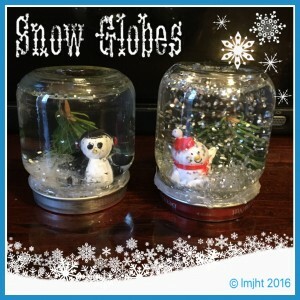 Here’s a fun winter project to do with the kids! 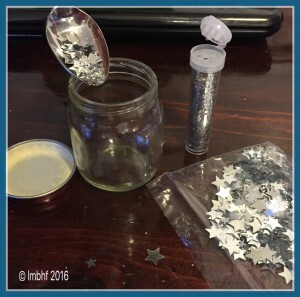 Heat the glue gun and use it to attach a small amount of the polyester fiberfill to the inside of the lid from thebaby food jar. This is your snow! 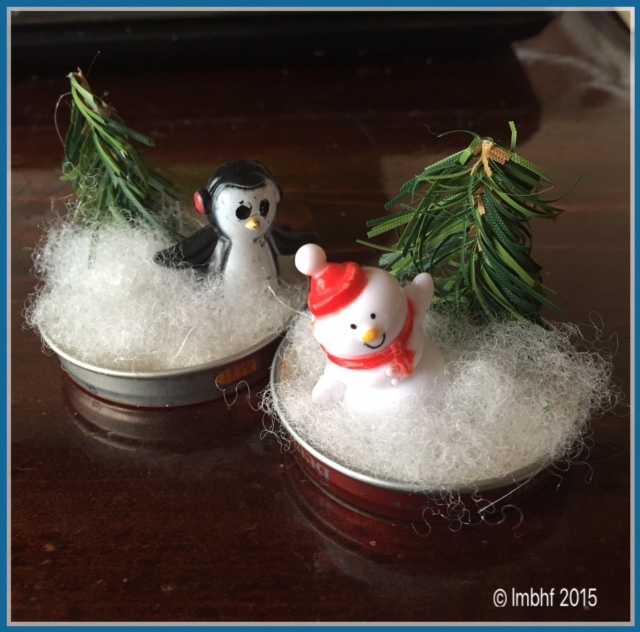 Next use the glue gun to attach the toy and the plastic “tree” to the lid. Put approximately 1/2 to 3/4 of a teaspoon of glitter and confetti into the bottom of the jar. 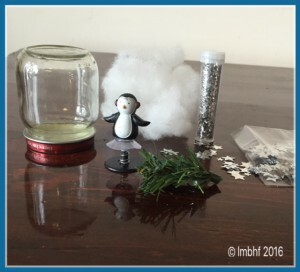 Fill the jar with water and place the lid on top (submerging the toys in the water. Make sure the lid is screwed on very tightly. Dry the jar of any spilled water. Apply a ring of hot glue around where the lid and the jar meet to prevent any leakage. Voilá! 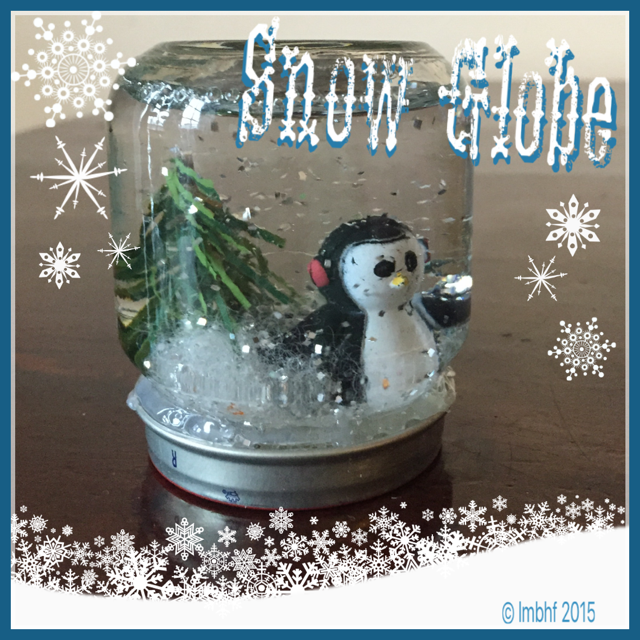 You have your very own Snow Globe!! Add water and glue lid in place. Thanks Angela! We had a lot of fun making it! Precious!! Would love to make these with my granddaughter next week.